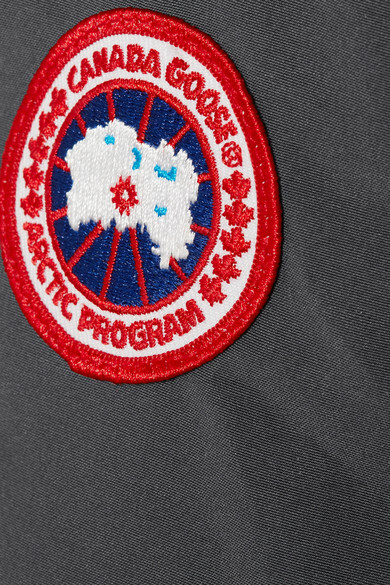 When it comes to outerwear designed for extreme weather conditions, it's the technical know-how and attention to detail that make all the difference. 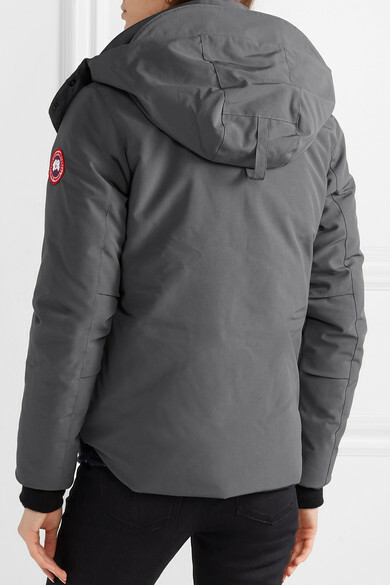 A fine example, Canada Goose's down and feather-filled 'Blakely' jacket is made from durable Arctic Tech shell that’s both wind and water-resistant. 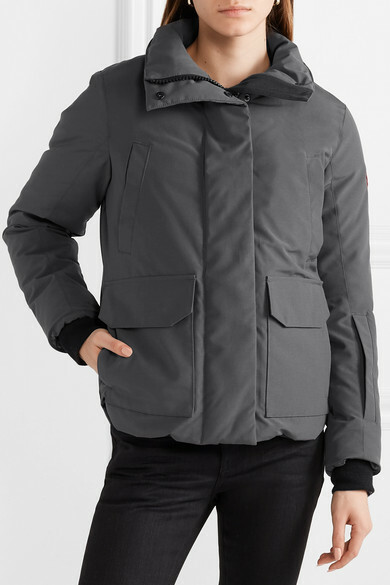 It has a quilted hood, brushed chin guard and articulated sleeves for enhanced mobility. 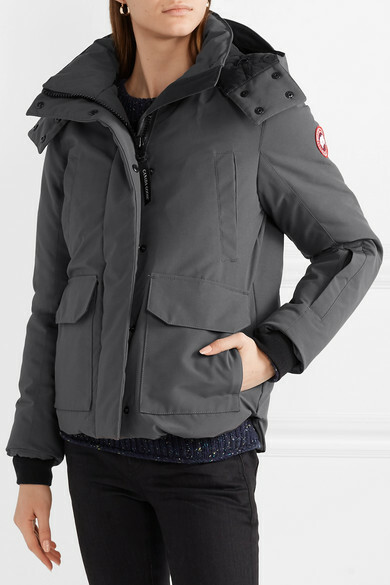 The neutral gray shade works equally well for outdoor adventures or city commutes. 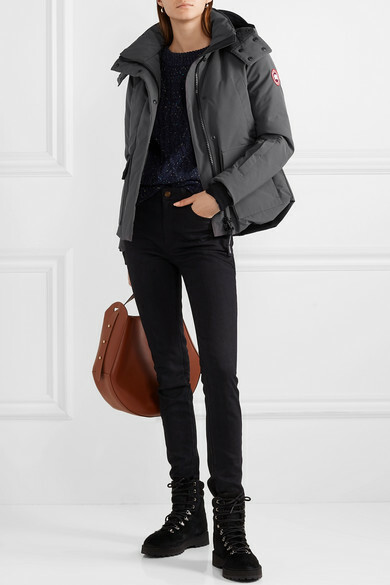 Shown here with: J.Crew Sweater, J Brand Jeans, Diemme Ankle boots, Wandler Tote.